Round and round we go, but we always come back to where we started. After world cuisine and exotic eats became hot topics, we are all running back to our roots now. Local produce and regional dishes are gaining prominence over everything ‘phoren’. Cooking with local ingredients is the new sustainability mantra, because, God forbid! we rake up the carbon miles. While some may attribute it to being a fad, I for one am thankful to be getting closer home. Nothing can be more comforting and soul satisfying than a home cooked meal of dal, rice and some stir fried veggies. A papad on the side, some pickle to liven things up and you have all round bliss handed to you on a plate. 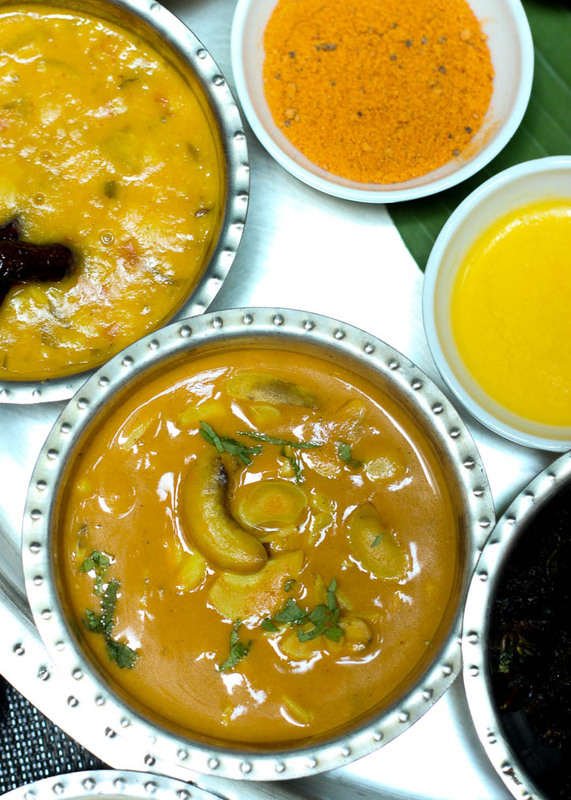 Cubbon Pavilion goes one step further and brings you Sattva – a plethora of vegetarian, no onion, no garlic recipes in a wholesome Thali focusing on foods abundant in Prana (the universal life force). The lean towards organic, local and responsible starts with the Water. 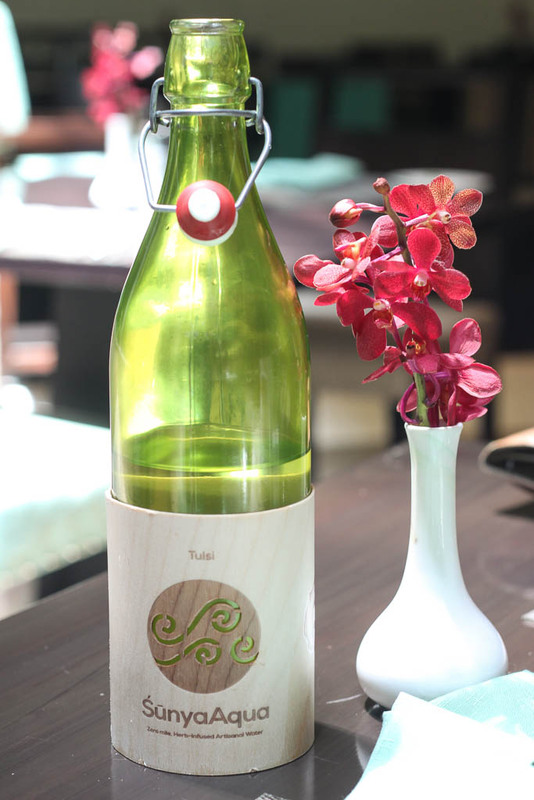 SunyaAqua – pronounced Shunya (zero) Aqua is water, infused with indigenous ‘good for you’ herbs. Not only does this enhance the wellness quotient of drinking water but the bottling takes place within the ITC premises ensuring a planet positive experience. 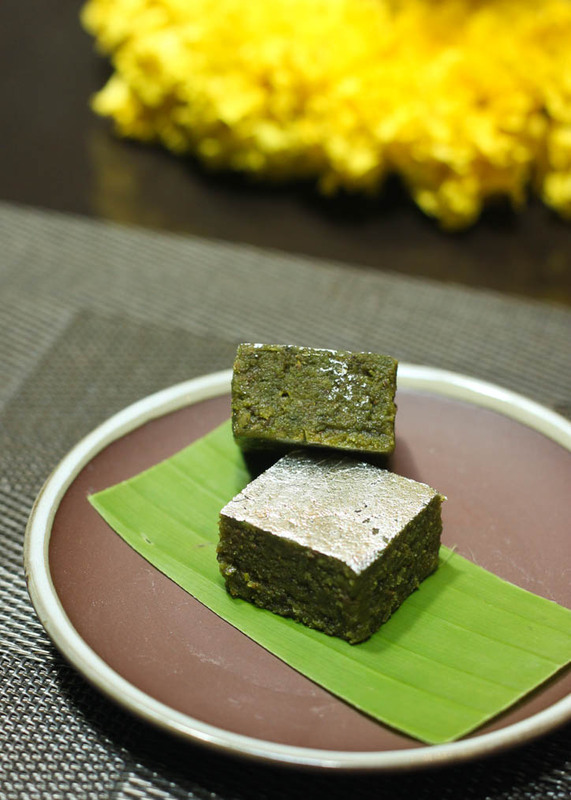 You have two variants to choose from – Tulsi (Holy Basil) and Fennel & Cinnamon. We often hear the term Sattvic in an Ayurvedic parlance. “Sattvik means pure essence. This is the purest diet for a consciously spiritual and healthy life. It nourishes the body and maintains it in a peaceful state. According to Ayurveda, this is the best diet for physical strength, a good mind, good health, and longevity. And it calms and purifies the mind, enabling it to function at its maximum potential. A Sattvik diet thus leads to true health: a peaceful mind in control of a fit body, with a balanced flow of energy between them. Nature’s Sattvik foods includes fruits, vegetables, sprouted whole grains, oils, spices, nut/seed and milk”. 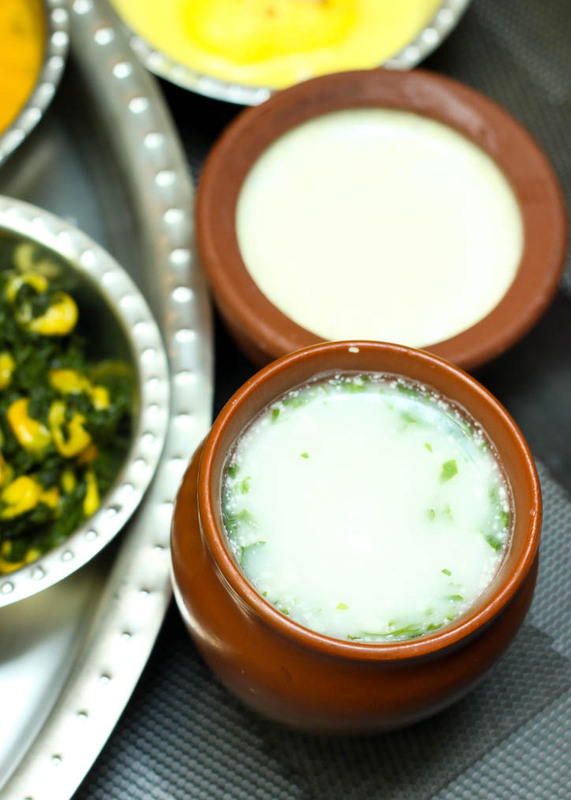 In Ayurveda there is also an order in which you consume your meal and it revolves around the Five Tastes. According to it, you should have a sweet at the outset, something sour and salty in the middle, followed by pungent, bitter and astringent to complete the meal. The logic being, our digestive fire is at its peak at the start of a meal and needs sugar to expand, the sour and salty foods in the middle of the meal keep the fire burning and the bitter and astringent tastes in the end subdue the release of kapha or the drowsy earth element. 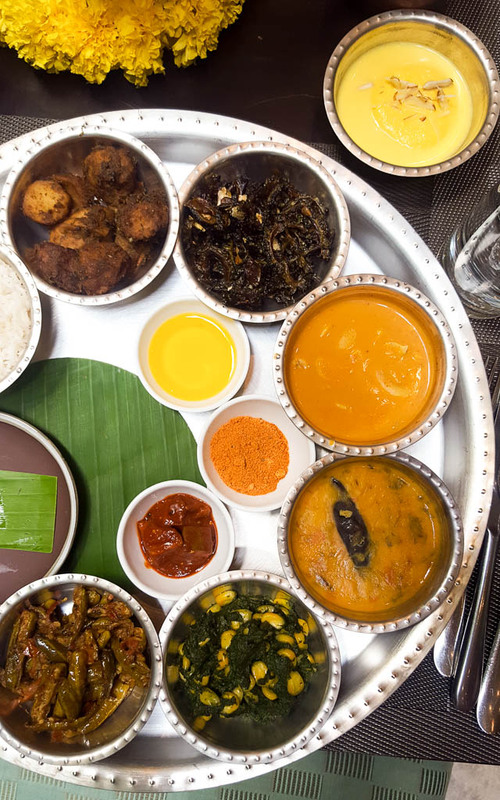 Our Thali beautifully encompassed all these elements and we were in awe as to how much thought had been put into making the meal a holistic and deliciously satisfying one. Yours might well be different depending on what the chef finds in the market that day or what season it is. But be rest assured that this freshly prepared meal, using local ingredients is served to cleanse your body & mind and elevate your spirit. Not a bad deal for Rs.1200/- ++ right? A Glimpse of the Thali and it’s many delicious parts. 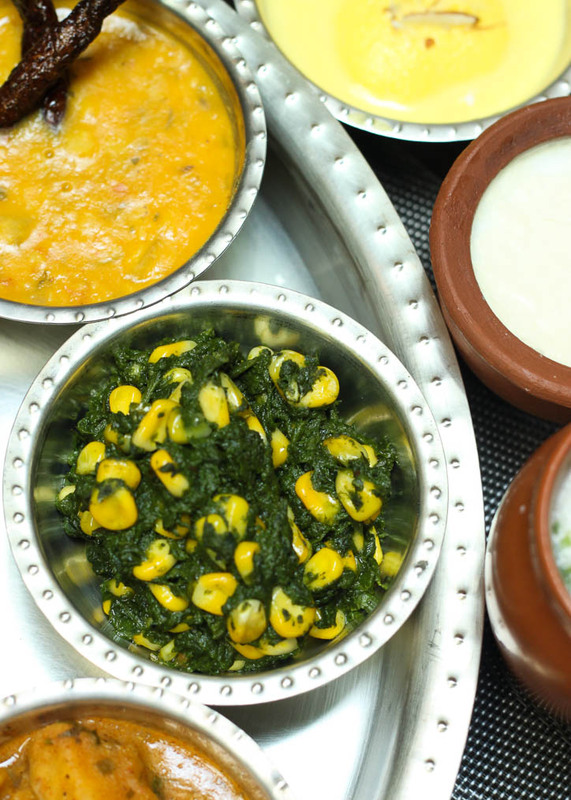 (Clockwise from the top left) : Yam in dry Masala, Crispy Bittergourd, Cashew Curry, Tadka Dal, Spinach and Corn Masala, Sauteed Ivy Gourd, Pistachio and Mango Burfi and White Rice. Accompaniments included Puris, Buttermilk, Yoghurt, Ghee, Mango Pickle, and Chutney Podi. We ended with the softest Rasmalai in Kesar (Saffron) Milk. Cost: Rs.1200/-++ for LUNCH every Saturday. Note: Regular Saturday Buffet is also available.